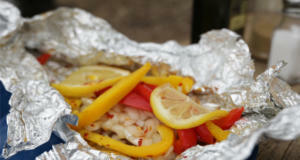 If you love fresh fish, you’ve got to try our Campfire Trout in Foil recipe! Fishing is a big deal in Colorado. 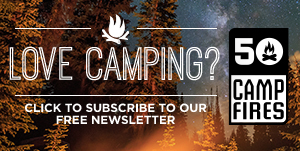 Everywhere you travel, you’re likely to come across someone trying to catch trout. Fly fishing, in particular, is truly part of the mountain lifestyle. Before you run out to a stream to catch your own dinner from the flowing waters, there are a couple things to remember. First, you need a fishing license. Second, you need to know the regulations for the area you are fishing. Some stretches of river allow you to keep some fish, but others are catch-and-release only. 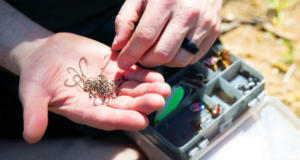 You must know where you are fishing and what regulations govern that area. 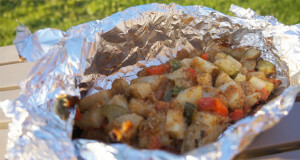 But when you catch some trout for supper, here’s a simple way to prepare them deliciously for the campfire. Dress trout, but leave whole with head intact. 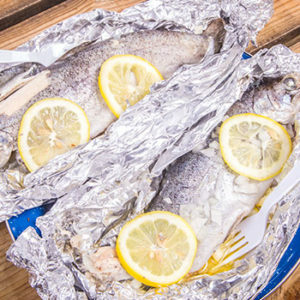 Tear off sheet of aluminum foil about six inches longer than trout. Splash a teaspoon or two of water on foil. Lay trout in center of sheet. Open cavity on trout and season with salt and pepper. Sprinkle chopped onions into cavity. Cut one or two lemon slices in half and lay them in the cavity. Place pads of butter or bacon strips into cavity on top of lemons. Close cavity to hold everything in place. 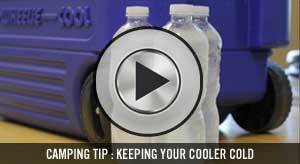 Fold and seal foil into packet making it as air tight as possible. 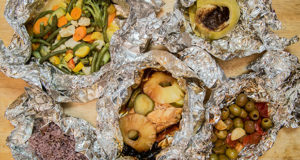 Seal inside a second layer of aluminum foil if you wish. 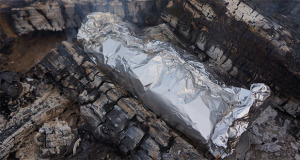 Place on grill or in coals of campfire at medium high heat for 15-20 minutes. 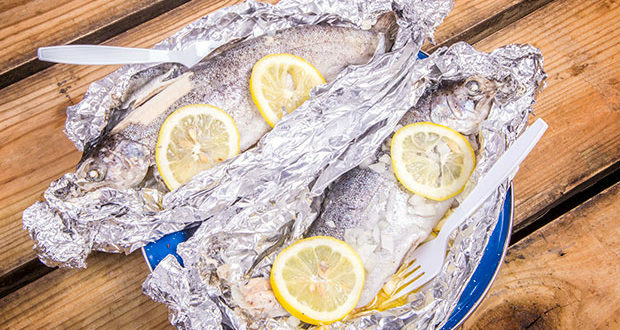 Trout is done when skin peels easily away from flesh and flesh flakes easily from bones.